A couple of days later he faced a half-million of Hitler’s best at the start of the “Battle of the Bulge.” It was the largest German offensive on the Western Front during World War II. Housel’s division: Company B, 393rd Infantry Regiment, 99th Division, was integrated into Gen. Omar Bradley’s 1st Army weeks before the Germans almost broke through at Bastogne, Belgium. “The Germans were in huge concrete bunkers protected by dragon teeth tank barriers. We were out in the woods in foxholes 1,500 yards from them,” he said. “Every inch of the land around us was zeroed in and could be hit by enemy mortars or artillery. “The temperature was down to zero during ‘The Bulge.’ There was two feet or more of snow on the ground. “My platoon leaders said, ‘Housel, get out there and draw fire. Get ’em to shoot at you,’ he recalls his command almost 70 years ago. “‘Thanks lieutenant,’ I replied. “I was a sniper with a scope who was given a beautiful ’03 Springfield. “A couple of my buddies were hiding in a little depression in the ground, just behind the lines out of direct fire. They thought they were safe from enemy fire. They were cold and wanted to warm up so they built a little fire. “It wasn’t a good idea. Immediately the Germans spotted the smoke and dropped three mortar rounds on them. They put the fire out in a hurry,” Housel said. “We could hear heavy equipment being moved behind enemy lines, but had no idea what was going on until Dec.16 when all hell broke loose. The Germans were shooting at us with everything they had and 500,000 enemy soldiers were advancing toward our lines in a rush,” he said. “Our company was apparently the only American unit to hold the line against the German advance. We were quickly surrounded by the enemy,” Housel explained. “The Americans behind us didn’t know we had been surrounded and opened up on both us and the Germans with artillery. “I got hit in the right leg with shrapnel from friendly fire. By the time the ‘Battle of the Bulge’ was over a month later, 19 of the 193 soldiers in our company had been killed and 160 more wounded. Only 14 survived the biggest battle in the Western Theatre of Operations unscathed. “I wound up in a French hospital in Cherbourg where I recovered after a month or so. When I got back to my unit the Germans appeared almost defeated. The 99th Division had moved on in to Belgium and was getting ready to cross the Rhine River,” he said. “We went down to Remagen where the 1st Army crossed the Remagen Bridge before it collapsed into the Rhine. Walking through the town of Remagen getting to the bridge there were bodies of American soldiers the whole way. “The Germans rigged the bridge with explosives to blow it up, but there was a malfunction and it didn’t blow. 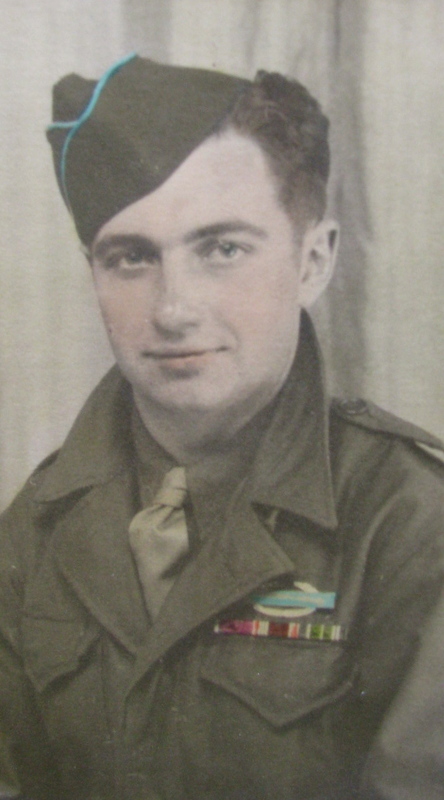 My company, that included four of my buddies and I, ran across the bridge into a tunnel on the Germany side to stay out of enemy fire,” Housel recalled. “We took the road to the right along the river and headed up the nearby mountain. We were up there when me and four of my buddies got shot by German snipers–bing, bing, bing, bing, bing! “I saw the guy in front of me go down. He got hit in the testicles. I was hit in the hip by sniper fire. It took a big chunk out of me, but it didn’t hit the bone. I was lucky. “We all laid there for hours. They couldn’t rescue us because we were pinned down by enemy fire. I called the Germans every name I could think of while lying there. Medics came for us at night and took us to a nearby German farm house where we were given first aid. “We were all taken back across the Rhine and ended up in a French hospital outside Paris. I remember when we got to the hospital I heard on the radio Glenn Miller was in England and about to fly to Paris to perform for the troops. He got lost on the flight across the channel and no one ever heard from him again,” Housel said. After several months more of recovery, he was attached to the hospital unit and he and another sergeant opened a bar for American servicemen in Reams, France. This was their official duty. The nurses at the hospital each received a whisky allotment of three bottles a month. Housel arrived back at the dock in New York City on New Year’s Eve 1946. He was discharged from the Army at Indian Town Gap. Pa., took the G.I. Bill, became an accountant and for the first couple of decades after the war worked on books for Pennsylvania steel companies. At 58, 1n 1981, he lost his job and decided to pool his saving and go in the pizza business. It was a good move, Housel did well. After his wife, Adeline, died in 1997 he retired and moved to the Port Charlotte area. The Housels have two sons: Robert and David. This story was first published in the Charlotte Sun newspaper, Port Charlotte, Fla. on Wednesday, March 27, 2013 and is republished with permission. Click here to view Housel’s collection in the Library of Congress. 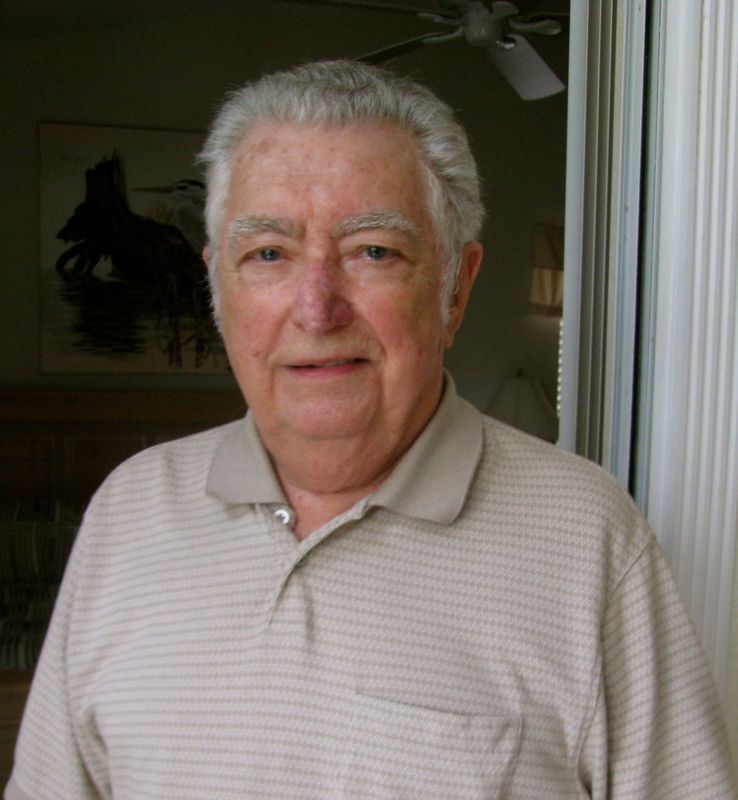 Clyde I. Housel, 91, of Port Charlotte, Florida passed away on Wednesday December 3, 2014 at his Charlotte County residence. 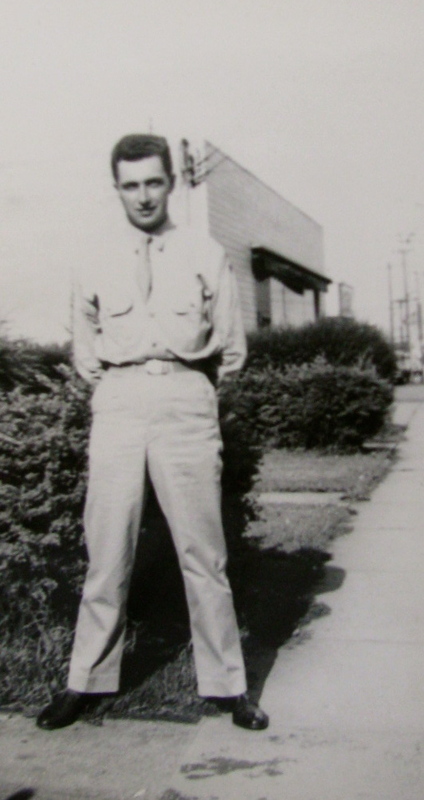 Born on August 5, 1923 in Greenville Township, PA to Clyde and Blanche Housel; Clyde served in the US Army during WWII. He is a graduate of Youngstown State University. Clyde was an active member of the North Port Community United Church of Christ, a member of the DAV, American Legion and VFW. He enjoyed sports, plays, musical programs and reading. Survivors include his two sons: Robert A. House of Elyria, OH and David A. Housel of New York, NY. Visitation will be held on Wednesday, December 10, 2014 from 10:00 AM until the service time at 11:30 AM at Englewood Community Funeral Home, 3070 So. McCall Road. Interment will be in Sarasota National VA Cemetery with Military Honors at 1:30 PM. Up-front and personal account, great! Your site is always interesting. Thanks for the kind words. Please keep reading my stories.